reversing the flow • Pacific Book Exchange set up a site so users can input the ISBN number of books they want to sell and get an immediate cash offer from PBE. Users print out a packing list and pre-paid mailing label, box up the books and send them to the company, which in turn relists them for sale on the internet. super shopping • One of 13 engrossed copies of the 13th Amendment signed by President Lincoln sold for $1,868,750 on March 30 at Raynors’ Historical Collectible Auctions (HCA) The buyer was New York, autograph dealer Seth Kaller, who bought the document for a private collector. naughty naughty • Oxford University has become embroiled in a bitter argument with The Nikkon Dental University which is refusing to return ‘De Humani Corporis Fabrice’ by Andrea Vesalius, a rare 16th Century book which was stolen from Christ Church over ten years ago along with seventy-three other books by music lecturer, Simon Heighes. obit of note • Katherine Dunham at 96, a pioneering dancer and choreographer, anthropologist, author and civil rights activist who abandoned Broadway decades ago to teach culture in one of America’s poorest cities. 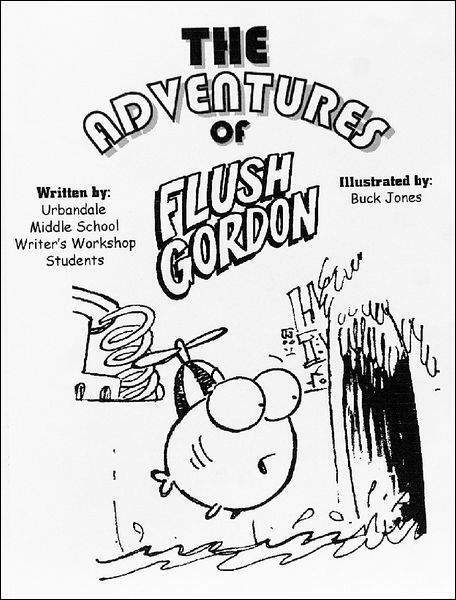 start ’em young • the students in her Talented and Gifted Writers Workshop Urbandale Middle School (IA), wrote a book called “The Adventures of Flush Gordon,” about a fish that gets flushed down the toilet. distopia watch • over his publication of a piece of horror fiction on his LiveJournal. The police have repeatedly visited the student and demanded that he submit his fingerprints and DNA to them so that they can compare the fictional murder he described in his story to evidence from any similar unsolved murders.